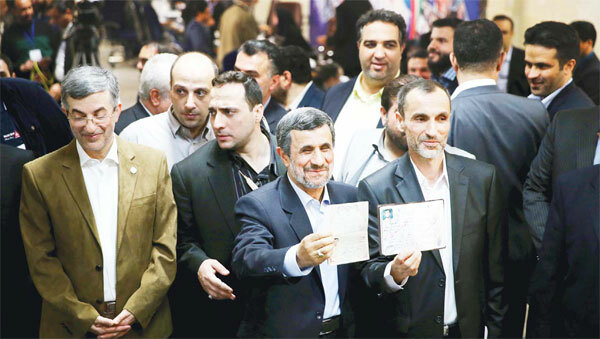 TEHRAN, Iran, April 12, (Agencies): Iran’s former president Mahmoud Ahmadinejad on Wednesday stunned the country by unexpectedly filing to run in the May presidential election, contradicting a recommendation from the supreme leader to stay out of the race. Ahmadinejad’s decision could upend an election many believed would be won by moderate President Hassan Rouhani, who negotiated the nuclear deal with world powers. Though Rouhani has yet to formally register, many viewed him as a shoe-in following Supreme Leader Ayatollah Ali Khamenei’s recommendation in September for Ahmadinejad to stand down and conservatives’ inability to coalesce around a single candidate. Ahmadinejad’s firebrand style could prove appealing for hard-liners seeking a tough-talking candidate who can stand up to US President Donald Trump. 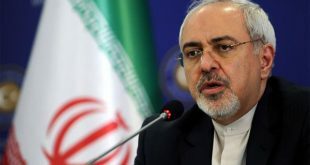 His candidacy also could expose the fissures inside Iranian politics that linger since his contested 2009 re-election, which brought massive unrest. Associated Press journalists watched as stunned election officials processed Ahmadinejad’s paperwork on Wednesday. Asked about Ahmadinejad’s decision, one Tehran-based analyst offered a blunt assessment. “It was an organized mutiny against Iran’s ruling system,” said Soroush Farhadian, who backs reformists. Ahmadinejad previously served two four-year terms from 2005 to 2013. Under Iranian law, he became eligible to run again after four years out of office, but he remains a polarizing figure, even among fellow hard-liners. Ahmadinejad described comments by the supreme leader suggesting he not run as “just advice” in a news conference shortly after submitting his registration. “His advice does not prevent me from running,” he said. “There is extensive pressure on me from dear people of different walks of life as their small servant to come to the election.” There was no immediate reaction from the supreme leader’s office. Ahmadinejad said his decision to run was intended to help former Vice-President Hamid Baghaei, a close confidant. Baghaei, who was imprisoned for seven months after he left office, registered alongside Ahmadinejad on Wednesday. So did Esfandiar Rahim Mashaei, another of the former president’s close allies. More than 120 prospective candidates submitted their names as candidates on the first day of registration Tuesday, including six women and seven clerics. Registration remains open until Saturday. Under Iran’s electoral system, all applicants must be vetted by the Guardian Council, a clerical body that will announce a final list of candidates by April 27. The council normally does not approve dissidents or women for the formal candidate list. 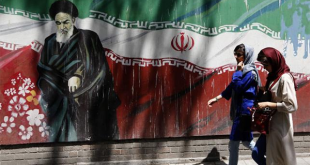 The May 19 election is seen by many in Iran as a referendum on the 2015 nuclear agreement and other efforts to improve the country’s sanctions-hobbled economy. Under the nuclear deal, Iran agreed to curb its uranium enrichment in exchange for the lifting of international sanctions. Since the deal, Iran has signed multi-billion-dollar contracts with airplane manufacturers Boeing Co and Airbus. 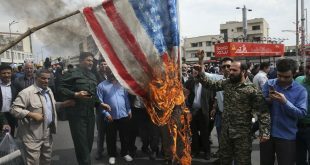 The benefits have yet to trickle down to the average Iranian, however, fueling some discontent. 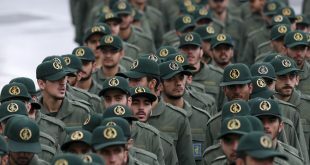 Candidates began registering on Tuesday for Iran’s May 19 presidential election with the clerical establishment hoping for a high turnout to shore up its legitimacy amidst widespread instability in the Middle East. 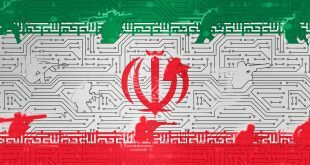 The Islamic Republic regards the election in part as a show of defiance against renewed US pressure under President Donald Trump, particularly after his missile attack last week on Iran’s regional ally Syria. 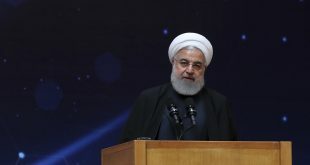 President Hassan Rouhani, a moderate who engineered Iran’s 2015 nuclear deal with world powers that secured a removal of international financial and trade sanctions against Tehran, is expected to seek re-election but faces a stiff challenge from hardline conservative Ebrahim Raisi. Discontent has risen over steep rises in consumer prices and stubbornly high unemployment, with many Iranians struggling to make ends meet, despite the lifting of international sanctions that Rouhani had said would revive the economy. Registration for the election will last five days after which entrants will be screened for their political and Islamic qualifications by a hardline vetting body, the Guardian Council. More than 100 candidates have registered so far for the vote. The Guardian Council has stopped hundreds of candidates from participating in past elections. Rouhani won election by a landslide in 2013 on a platform of ending the Islamic Republic’s international isolation. He sidestepped questions at a news conference on Monday as to whether he would seek a second term in what analysts believe will be a tight race with Raisi. The lifting of sanctions in January 2016 provided a short-term boost to the economy as infl ation dropped to single digits and real GDP grew by as much as 7.4 percent. But for sustained recovery, structural reforms will be needed to liberalise the economy, something Rouhani could not deliver in his first term. Recovery will also require significant foreign investment but that has been slow to resume in part because many investors have hesitated for fear of incurring penalties from lingering US sanctions. Unemployment stood at 12.4 percent in the last fiscal year, according to the Statistical Centre of Iran, up 1.4 percent from the previous year. About 3.2 million Iranians are jobless out of a total population of 80 million.